Location: Brie-Comte-Robert, in the Seine-et-Marne departement of France (Ile-de-France Region). Notes: Château de Brie-Comte-Robert is a medieval castle located in the town of Brie-Comte-Robert in the department of Seine-et-Marne, in the Ile-de-France. The castle is located about thirty kilometers southeast of Paris. 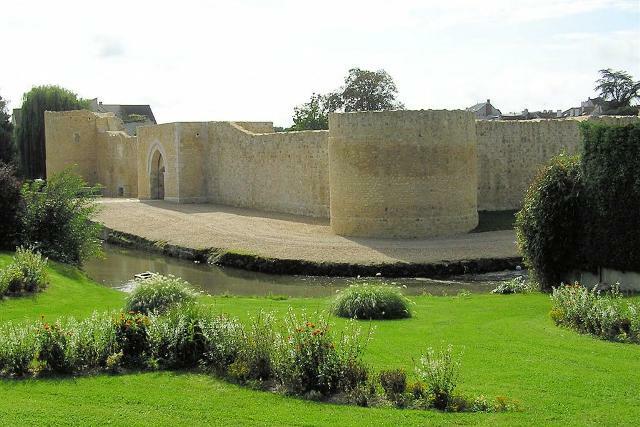 At the end of the twelfth century, Robert de Dreux, brother of King Louis VII of France, founded the city of Brie-Comte-Robert there and had built his castle. This is then built on a square plan, flanked by seven towers and surrounded by water moat. Jeanne d'Evreux, heiress of the castle, has brought the city of Brie-Comte-Robert in the royal domain, by her marriage with King Charles IV. During the Fronde, which begins in 1649, the castle was looted and partially destroyed by royal troops commanded by the Count of Grancey. In 1750 the towers and curtain walls were destroyed, only the portion of the first floor [unclear] and the Saint-Jean tower were kept. The building was then put on sale in September 1793 as national property.The town of Brie-Comte-Robert bought the castle and then resells it to individuals. Buyers are raze what remains of the St. John Tower to build a mansion. The city bought the castle, finished its restoration in 1923 and is classified as a historical monument in 1925. Since the establishment of the association "Friends of the Old Château de Brie-Comte-Robert" in 1982, volunteers are working to excavation sites, restoration of heritage and development of the site. In 2003, the curtain lifts are more than six meters high, the tower of Brie is restored, the mansion is destroyed, and the Saint-Jean tower is partially reconstructed.